Vacation • Max Blog • Max. your best interest. Dubai, the Arab world’s financial hub, is also a high-end destination attracting a growing number of world travelers. The tiny Persian Gulf city-state promises a luxury urban vacation between the desert and the beach. Home to an ever-increasing number of tall towers and over-the-top developments, Dubai is a destination for royalty, celebrities, and travelers seeking architectural fantasies and unique experiences. Nearby Ras al-Khaimah has yet to make it onto many itineraries, but it provides a rare look into Bedouin culture in an upscale oasis setting. We asked a friend of Max Luxe to fill us in on the highlights from her travels in these Gulf destinations. 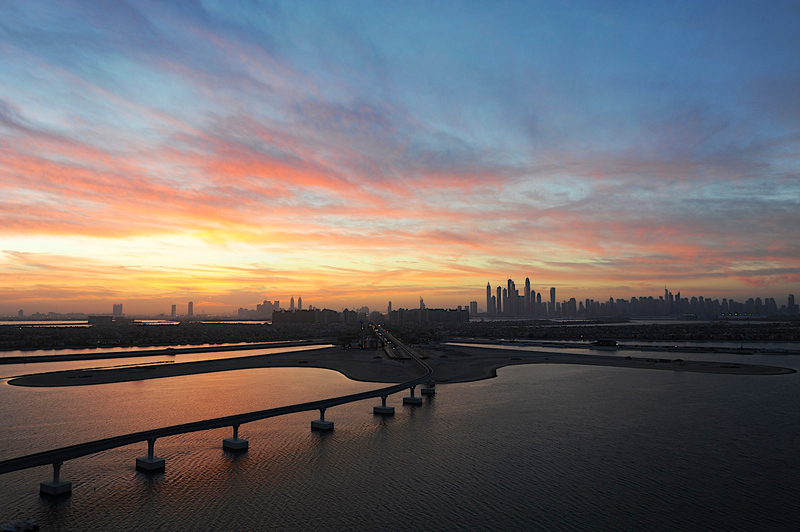 Dubai’s skyline is iconic, including as it does the Burj Khalifa, the world’s tallest tower. From the Atlantis The Palm hotel on the Palm’s manmade resort island, visitors can take in the panorama. Atlantis itself is a luxury waterpark resort, a cousin to the Bahamas showplace of the same name. Other high-end hotels include the Jumeirah Beach Hotel, which also boasts a waterpark. The Burj al-Arab, known as the world’s first seven-star hotel, is also situated on its own specially-constructed island and was designed to look like a sailing ship. The view from the top of the Burj Khalifa. Dubai Creek, which splits the city in two, is where visitors can find dhows, an authentic form of Arab trading vessel that still supplies a small fraction of the emirate’s now huge volume of port traffic. The Dhow Wharfage is the place to see the boats in action as they take on freight; visitors can also get a tour of one of the boats or ride on one that’s been repurposed as a harbor-cruise ship. Little remains of old-time Dubai’s economy, and the dhows are one reminder of the city’s origins as a desert trading outpost. Barrels of spices at a spice vendor’s shop. Shopping is one of Dubai’s major draws. Two enormous malls, the Dubai Mall and the Mall of the Emirates, offer nearly every luxury brand, including brands that don’t typically have their own boutiques in other countries. Shoppers can also go skiing and ice skating — a novelty in the middle of the desert — as well as visit an aquarium within the complex. The Bastakia Mosque in old Dubai. 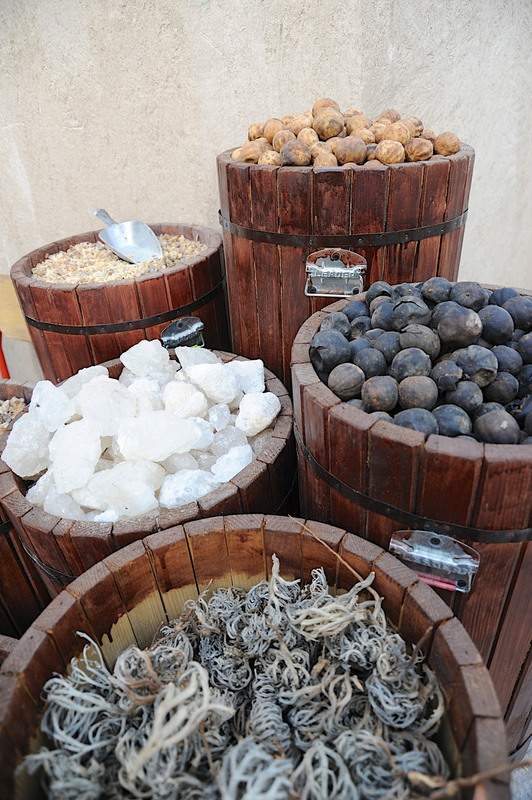 To step back in time, visit one of Dubai’s market districts that hearken back to early trading days. In the Bastakia Quarter, where Persian merchants built homes with distinctive wind-towers for cooling, shops and galleries set on winding alleyways sell spices and art. The souks are street markets where haggling is expected; visit the well-known Gold Souk for stalls piled high with jewelry. 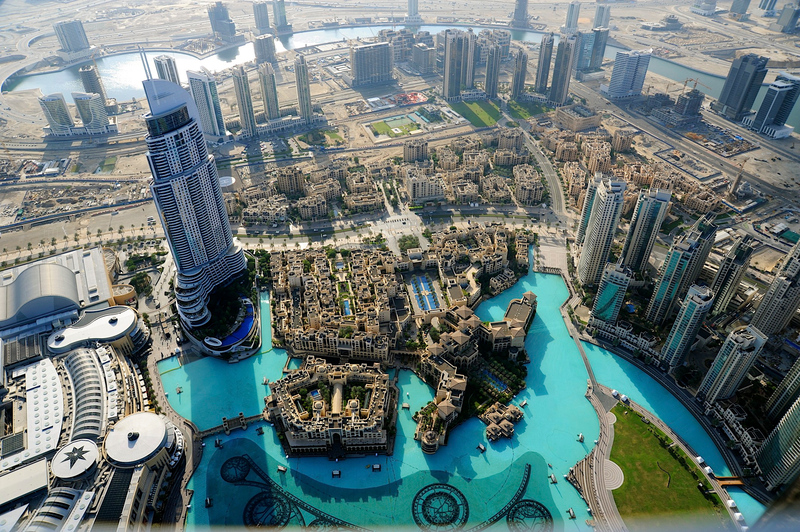 From the observatory at the top of the Burj Khalifa, the view is unparalleled. A museum explains how the tower was constructed, answering visitors’ questions about how one can build safely on sand. The tower complex’s fountain show, in the mall at the building’s base, is also well-attended. 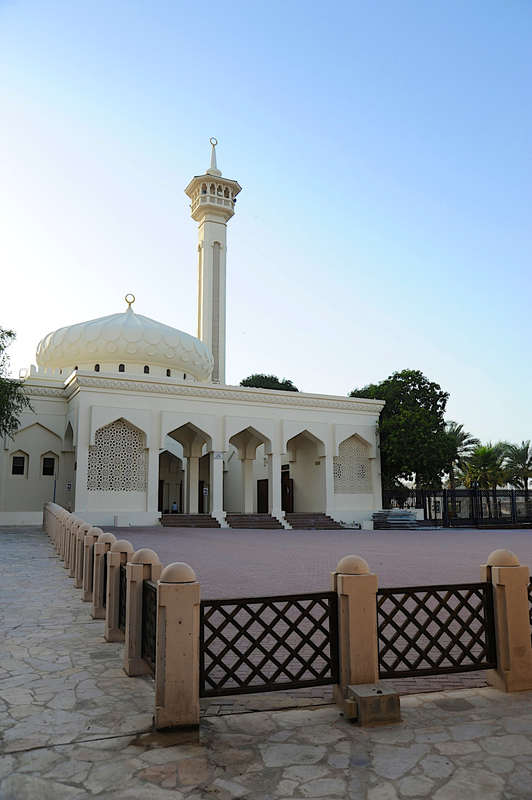 For cultural appreciation, stop in at the Jumeriah Mosque, the only mosque in Dubai that non-Muslims can visit. (Be sure to dress appropriately.) Also visit Majlis Ghorfat Um Al-Sheef, a former sheikh’s summer home in the Jumeirah district that’s been restored to glory with a beautiful garden. 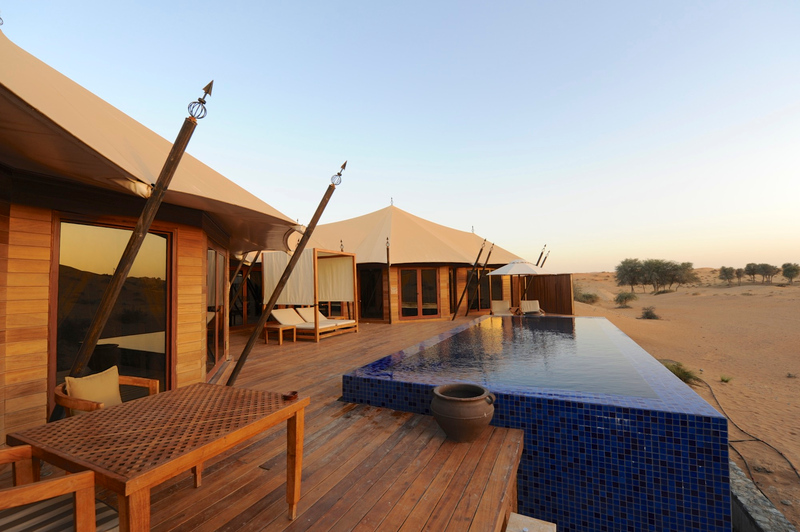 Bedouin-style villas with infinity pools at the Banyan Tree resort. A smaller member of the United Arab Emirates, Ras al-Khaimah is a short drive from Dubai. Its low profile among tourists makes it a perfect place to see the desert, our correspondent notes. One place to find quiet relaxation is the Banyan Tree Ras al-Khaimah Beach resort, where the tented suites offer an opulent take on traditional Bedouin life. While in the emirate, make sure to take a camel ride, go off-roading on the sand dunes, or try your hand at sand-boarding.